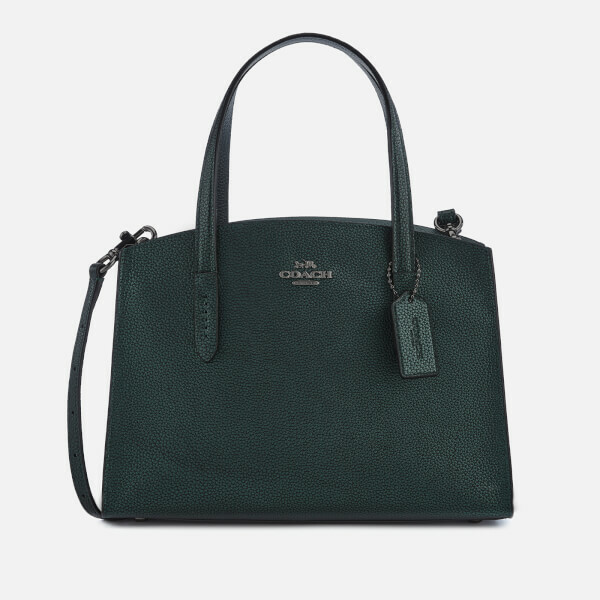 Crafted in polished pebble leather with a metallic finish, the women’s ‘Charlie 28’ carryall bag from Coach boasts a structured shape with rounded accents. 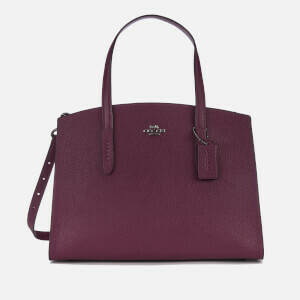 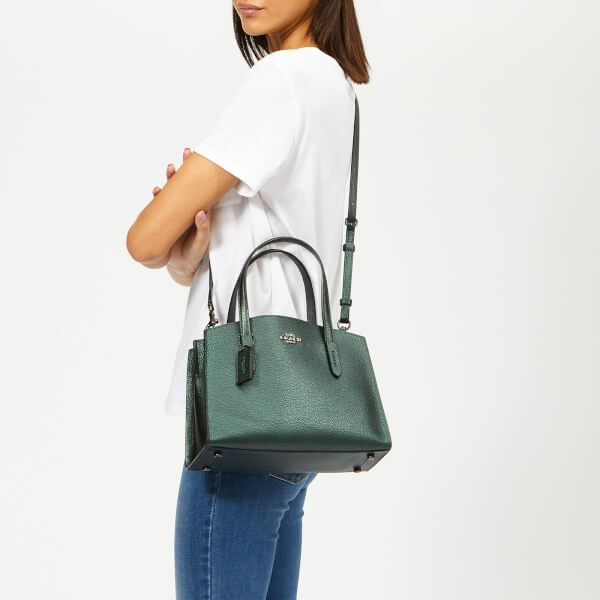 Suspended from twin top handles, the sleek bag features a tri-compartment interior with two outer unlined pockets and a central zipped section. 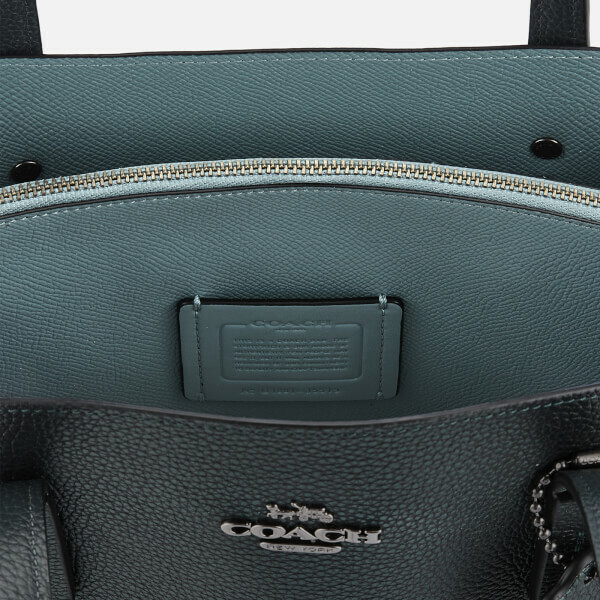 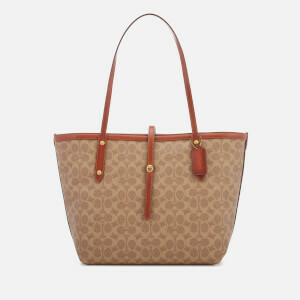 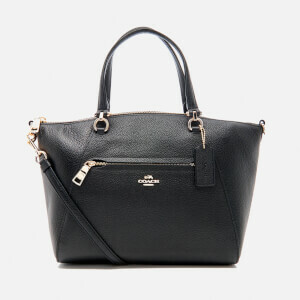 An adjustable, detachable cross body strap offers versatile wear. 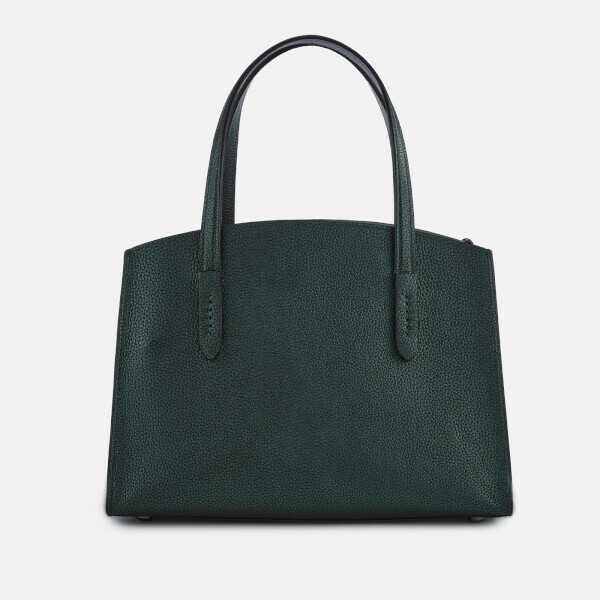 Designed with gunmetal-tone hardware including protective metal feet on the base. 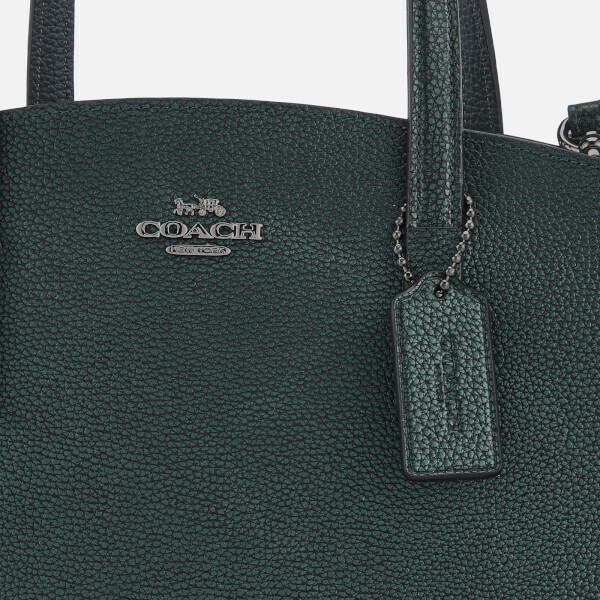 Signature dog tag and appliqué Coach branding add the finishing touches.